Ruthless. Warrior. 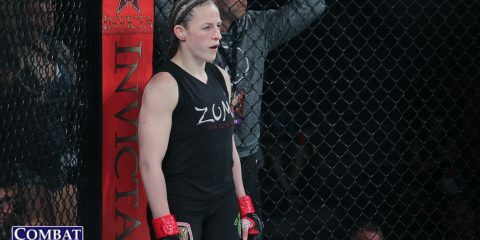 Soul Stealer (Looking at you Rory MacDonald). These are just some of the words used to describe the one and only Robbie Lawler. 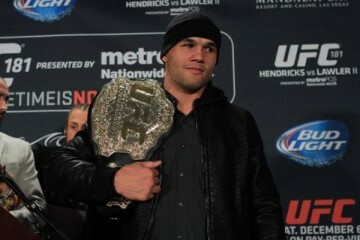 The man seemed to come out of nowhere and take the UFC welterweight division by storm. His reemergence into the organization was clearly met with mixed reviews. After all, he had been on a downward slide for the past few years, amassing a bleak 3-5 record during his stint in Strikeforce. But Lawler dug deep and crawled from the trenches back into the spotlight by winning his next three bouts and receiving a chance to fight for the welterweight strap against then-champion Johny Hendricks. Lawler failed in his bid for gold, but he quickly gained two more impressive wins en route to a rematch and another chance at the title. 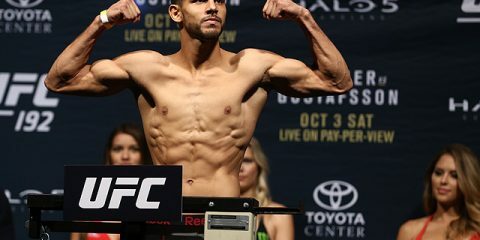 He was able to dethrone Hendricks and then defend his title two times in classic thrillers with Carlos Condit and the aforementioned MacDonald, in a contest that easily ranks among the best of the last decade. It is worth noting that Lawler was able to obtain a finish in a welterweight title fight, something that hadn’t been done since Georges St-Pierre finished Matt Serra at UFC 83. If we’re being technical, UFC 94’s title fight had a finish as well, but that was due to a corner stoppage. Unfortunately for Lawler, he dropped his title against Tyron Woodley just over a month ago at UFC 201. The reason it was so unfortunate was because so many people were clamoring to see Lawler take on the man who relinquished his belt, the aforementioned GSP, at UFC 205 in New York. It was a way for Lawler to truly claim his stake as welterweight champion after the belt seemingly lost a bit of its legitimacy when it was vacated. So, after Lawler suffered a brutal knockout at the hands of Woodley, it seemed that his chances of fighting at UFC 205 were all said and done. Turns out that isn’t the case. While nothing is official, there is a man asking to fight Lawler. Yes, you read that right. Someone is willingly asking to be locked inside of a cage with a fighter whose nickname is “Ruthless.” That person is Donald “Cowboy” Cerrone. 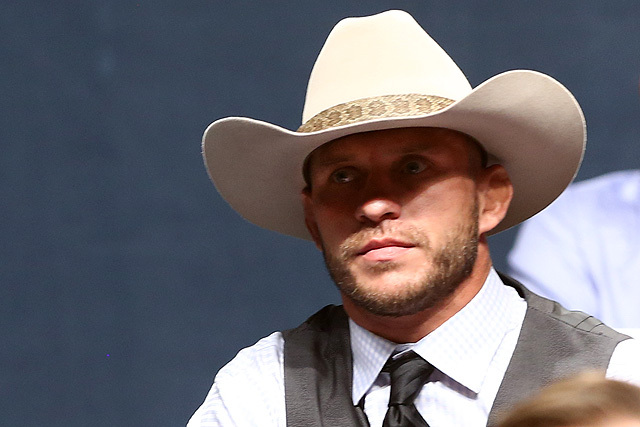 Take a moment to breathe in what Cerrone has been able to do in his tenure with the UFC and will continue to do thanks to an eight-fight contract extension. He has been victorious in 18 of his 22 bouts, including his last three at welterweight. He has obtained 13 post-fight bonuses. Cowboy has always lived up to his name. After his last performance and his own comments, it seemed as if his next targeted bout would come against the current lightweight champion, Eddie Alvarez. However, the general consensus seems to be that Conor McGregor has already secured his spot across the cage from Alvarez. Where does that leave Cerrone? How about Madison Square Garden? 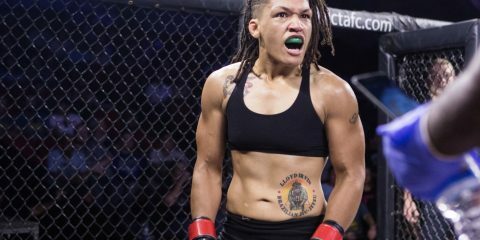 The push to legalize MMA in New York has been underway for quite some time. When it was finally announced that New York had “tapped” and followed the rest of the country in legalizing the sport, the next question involved the date of the first UFC card. We all know now that UFC 205 will be held on Nov. 11 at MSG. What’s amazing, though, is that November is only two months away and, as of right now, there is no official fight card. This is why Lawler vs. Cerrone should be the first officially announced fight. Both of these fighters have significant striking power. They don’t waste time on wrestling if they can stand and trade. This fight offers Lawler a chance to get back into the win column and further solidify himself in the history books as part of the first New York-based show. 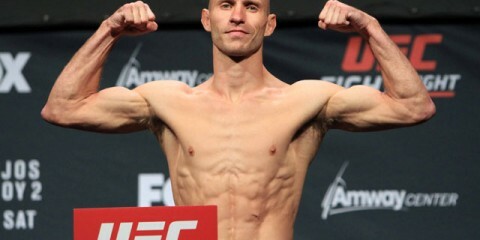 However, it seems the bigger benefactor here is Cerrone, who has a chance to defeat a former welterweight champion and move his way up the ladder and closer to a title shot. This fight actually makes sense. It’s a fight that could benefit these two men, both in the rankings and monetarily, as well as appealing tremendously to the fans. UFC 205 is going to be huge. Maybe that’s why the UFC has kept quiet on the official fight card. Maybe the company was just waiting until UFC 202 was done and gone. Yet, with rumors of Jon Jones fighting Anthony “Rumble” Johnson, GSP making his return, and the question mark that still stands next to the date of Ronda Rousey’s comeback, the UFC better get started, and Lawler vs. Cowboy is the fight to make.